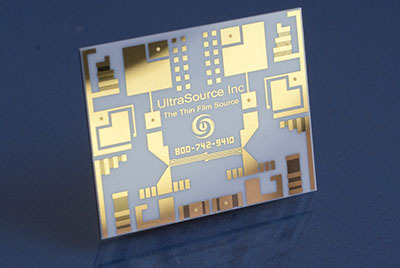 UltraSource provides build-to-print thin film manufacturing services for a diverse set of high technology companies. 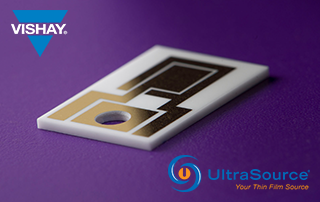 UltraSource, a Vishay Intertechnology company, is one of the most advanced thin film circuit and thin film interconnect manufacturers in the world. 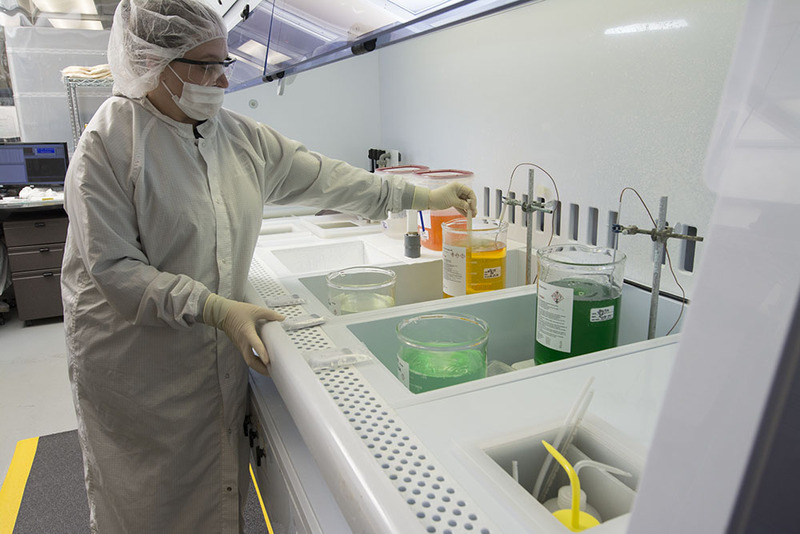 Our 25,000 square foot facility in southern New Hampshire houses a complete array of cleanrooms and equipment specially tailored for manufacturing reliable, high-quality thin film products. 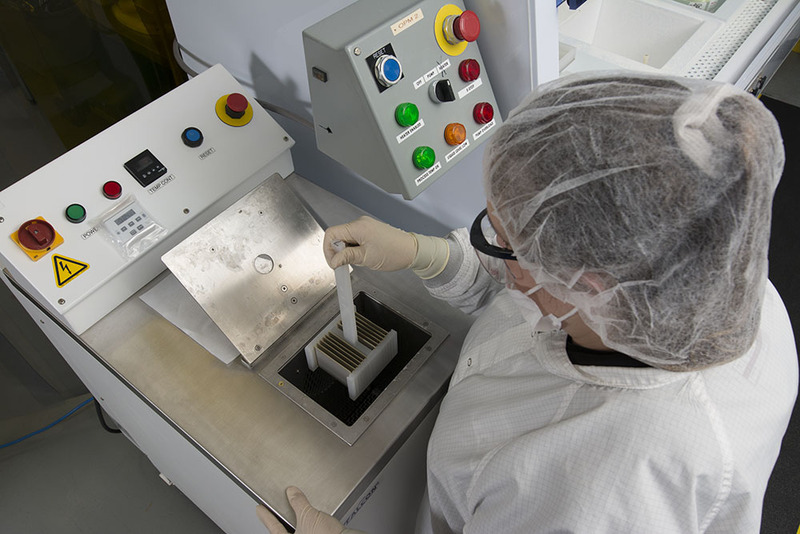 UltraSource was founded in 1991 and acquired by Vishay in 2018. 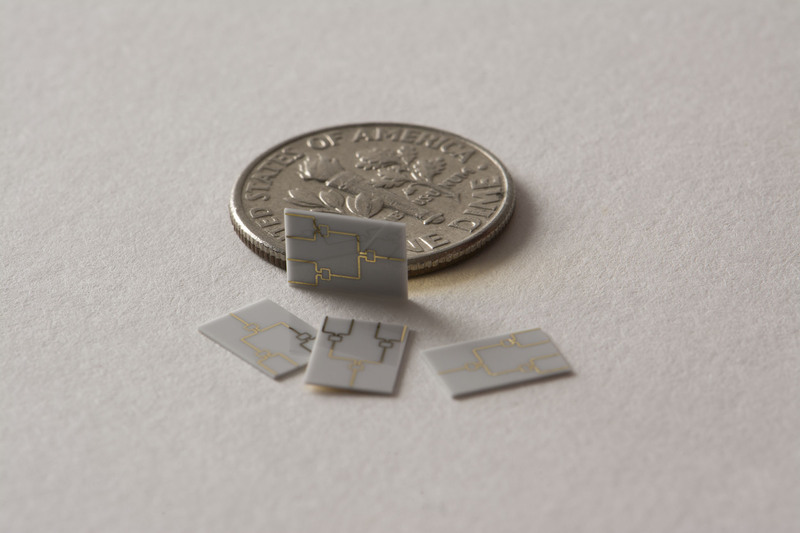 UltraSource is an industry leader in high-performance thin film circuits and thin film interconnects. UltraSource products are used in many applications demanding zero failures and zero downtime. 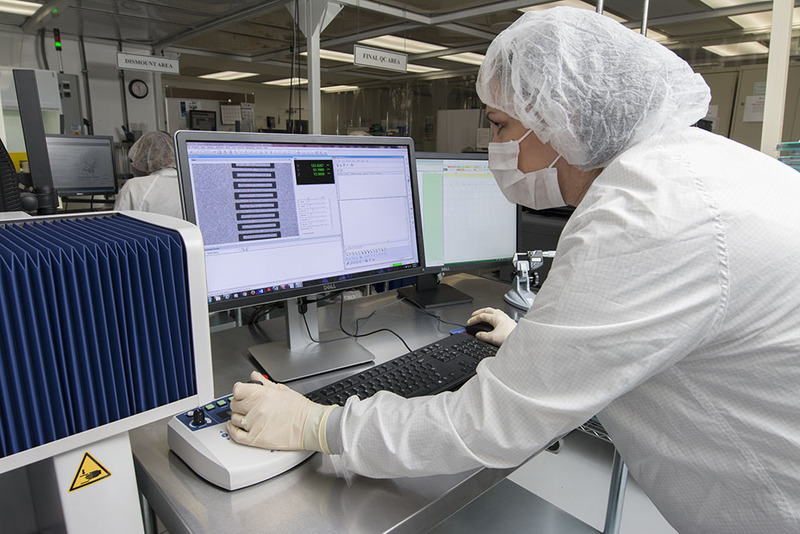 UltraSource is AS9100 certified, attracting and retaining customers in aerospace, defense, satellite, and medical industries where quality and high reliability is an absolute must. 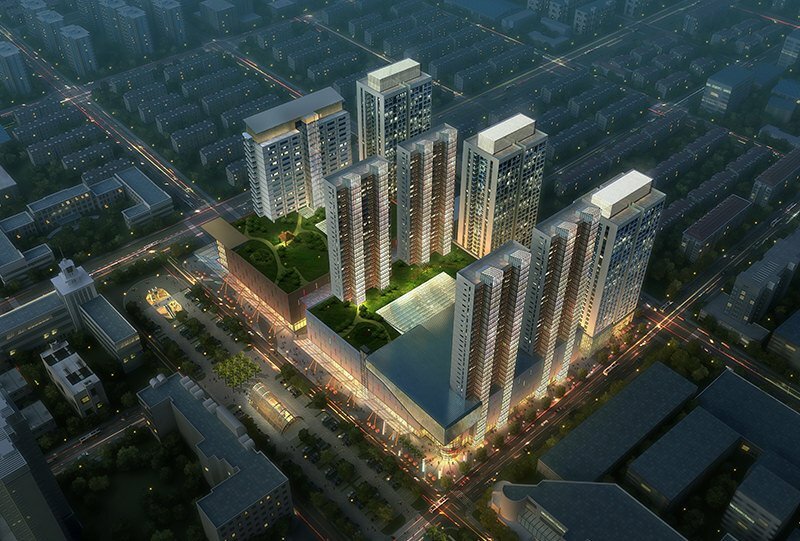 UltraSource has developed a comprehensive scheduling and planning software system that enables us to manage supply and demand. Complex manufacturing routings are programmed with set up and run times, and the software system schedules the work centers in the factory. UltraSource provides customers with the ability to create a wide variety of high-performance, extremely reliable circuits for critical applications, such as defense and space. Thin film is the term used to describe a circuit technology used to fabricate devices for a variety of electronic and optical applications. The term “thin film” is derived from the fact that the deposited films are only a few microns (aka micrometers) in thickness, and the films are usually applied to the substrate by sputtering. Sputtering is a physical vapor deposition process (PVD) that is used to metalize the base material (or substrate) with the desired metallization. 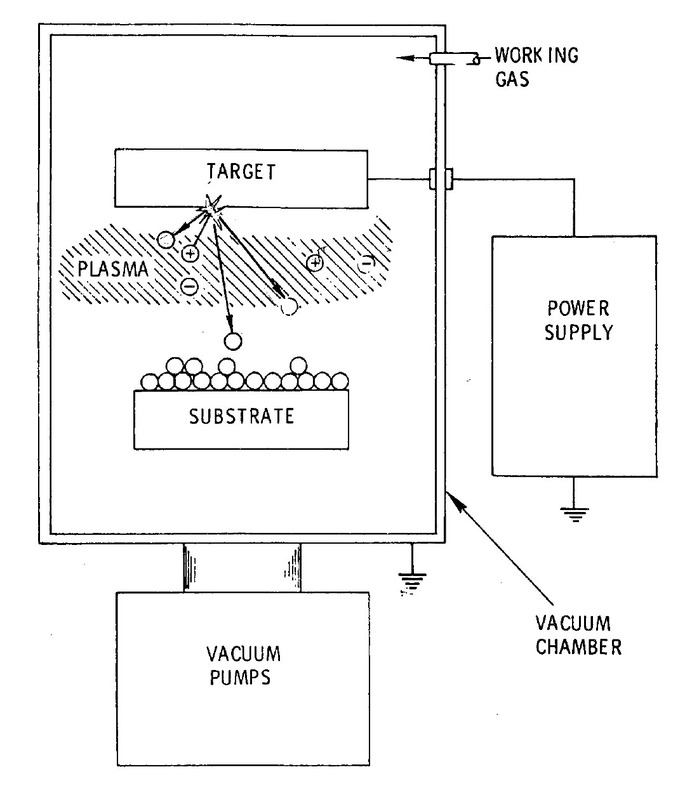 Sputtering takes place in a vacuum chamber (see below) and sputtering equipment provides precise process controls and uniformity. The use of sputtering to apply the thin films is one of the reasons why the technology is so reliable. 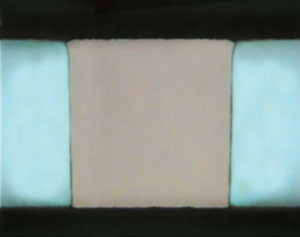 The thin film circuit patterns are defined using photolithography (photoresists and photomasks). 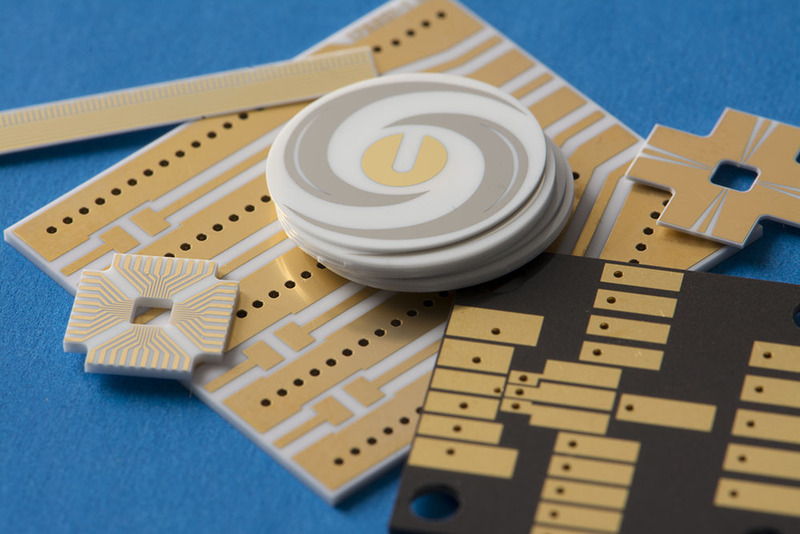 Thin film circuits are typically constructed on ceramic or crystalline substrates. 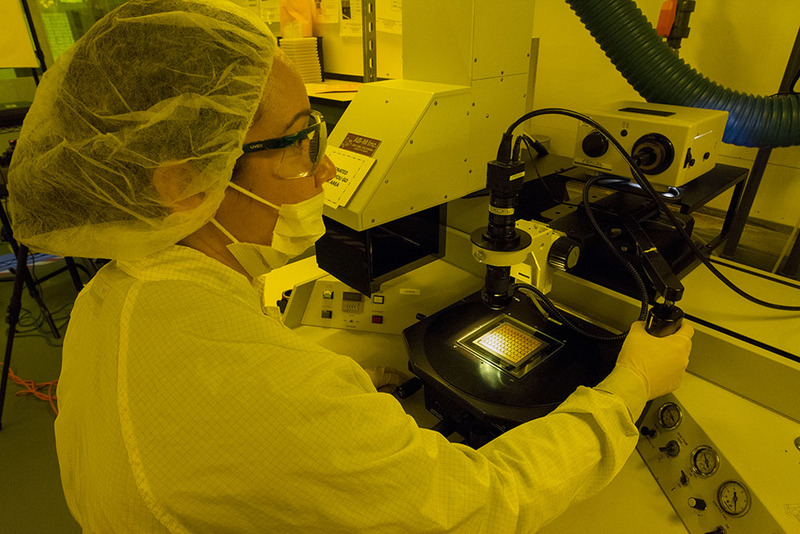 Specific thin film substrate materials are chosen to optimize performance in their application, and usually focus on specific properties like dielectric constant, loss tangent, thermal conductivity, surface finish, flatness, etc. Metals other than gold can also be deposited in order to provide solderability, resistors, or solder damming. Thin film metallizations work very well for high performance wire bonding, soldering, and epoxy attachment methods. 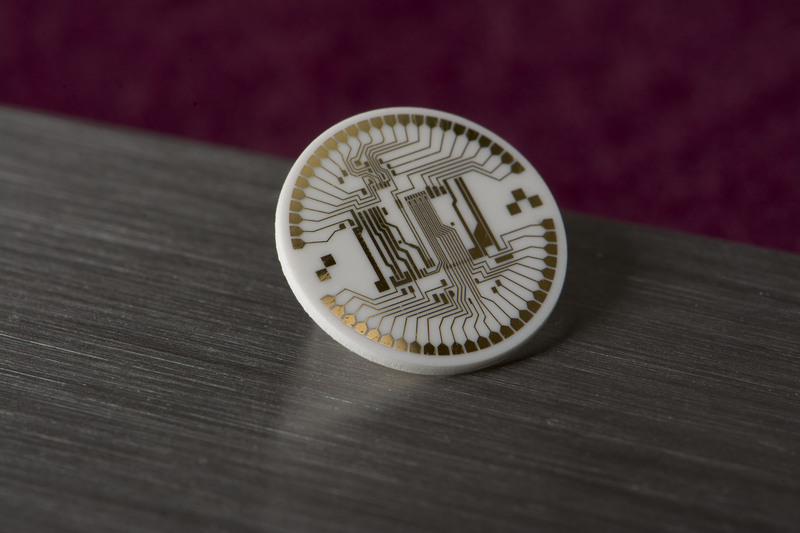 Thin film circuits are machined to size by using dicing (diamond sawing) or laser machining. After the thin film circuit is built, components such as inductors, diodes, chip resistors, MMIC’s, etc. can be attached. In many applications, thin film technology is used because there is no alternative technology capable of delivering the necessary performance. 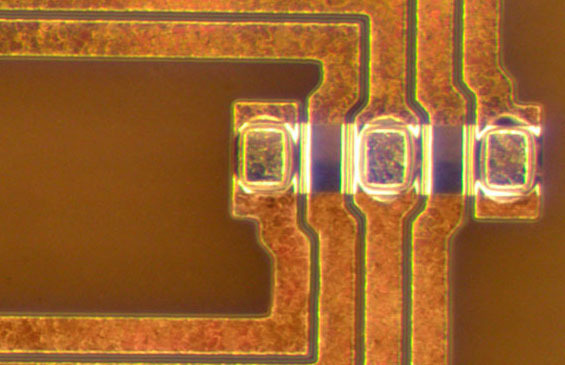 This is often the case for high frequency microwave circuits where the small circuit size, line definition, and repeatability provide a significant performance advantage over other circuit manufacturing methods. Ability to integrate passive features like resistors, capacitors, couplers, etc. The substrate is the foundation on which the thin film components are built. The substrate properties have significant influence on the performance of the device. 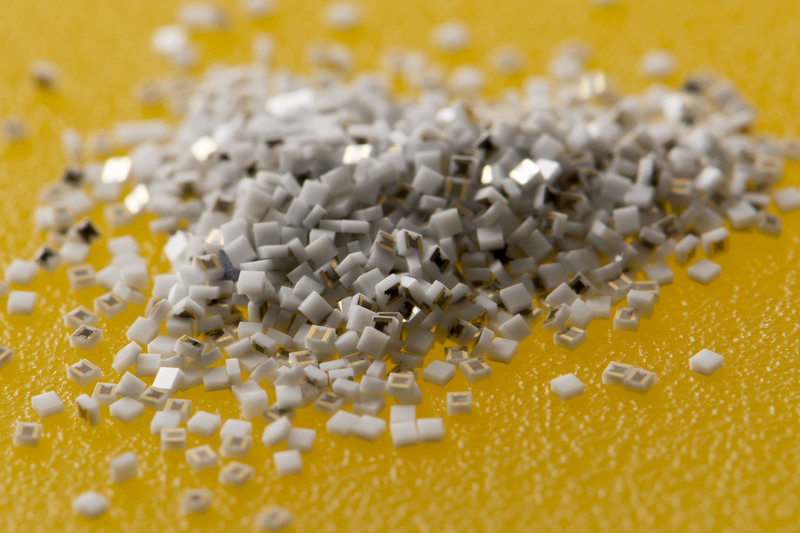 Alumina is still the most common substrate material due to its surface quality, cost, and high frequency performance. Thin film resistors are typically used for precision applications. Their values are very accurate and have an excellent temperature coefficient. Inductance and capacitance are generally lower. Thin film resistors are used in medical equipment, audio installations, precision controls and measurement devices. Thick film resistors are used in lower-cost applications where high accuracy and precision are not needed. 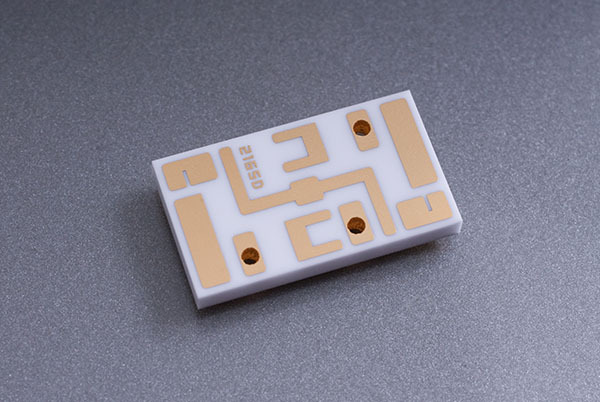 Vias provide electrical and thermal connections between layers of thin film substrates. The vias are filled with with gold, copper or polyimide depending on the application and cost target. 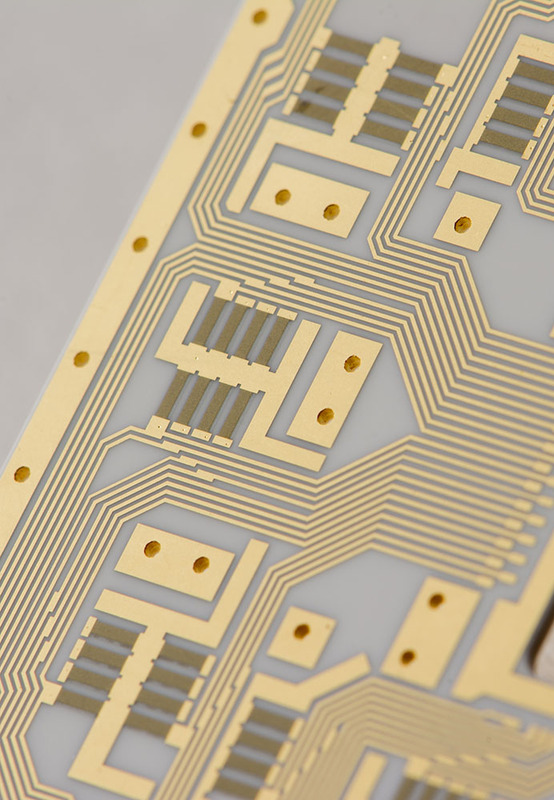 Gold and copper provide highly conductive and reliable connections while eliminating epoxy or solder bleed-through. A polyimide via eliminates epoxy or solder bleed-through but at a much lower cost than the pure metal filled via products. Polyimide is used to create solder dams – structures that stops the flow of solder from one location to another. Polyimide is also used to create a cross-over, or bridge, on the circuit board. 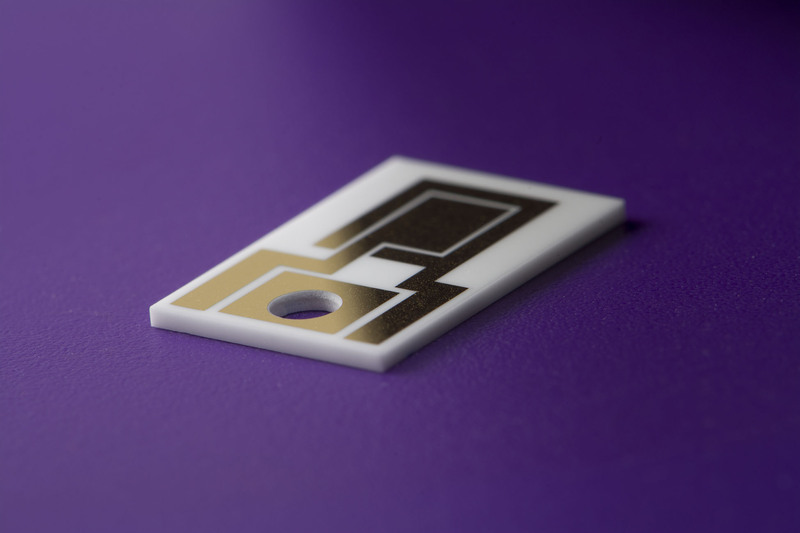 Thin Film products begin with a concept for a new circuit. The concept is then turned into a design which can then be put into production. 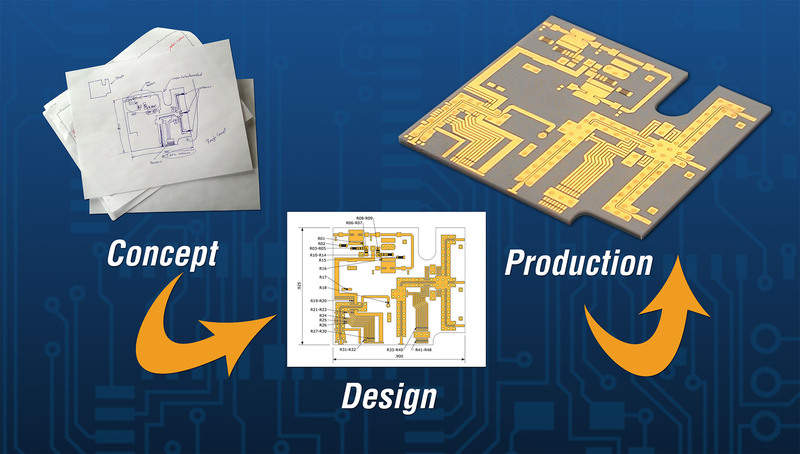 UltraSource is here to help transform your design ideas from concept to reality. 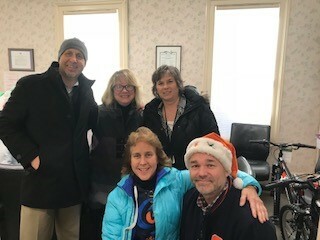 For the past 15 years, UltraSource has been adopting families at Christmas through Bridges, a local non-profit Domestic Violence Support organization. 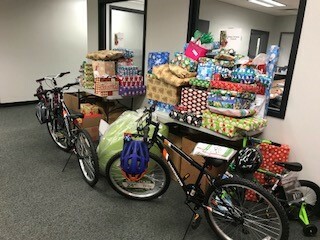 This year, the generosity of our employees was truly amazing – each child requested a bicycle and we were able to fulfill those “Wishes” and many more. 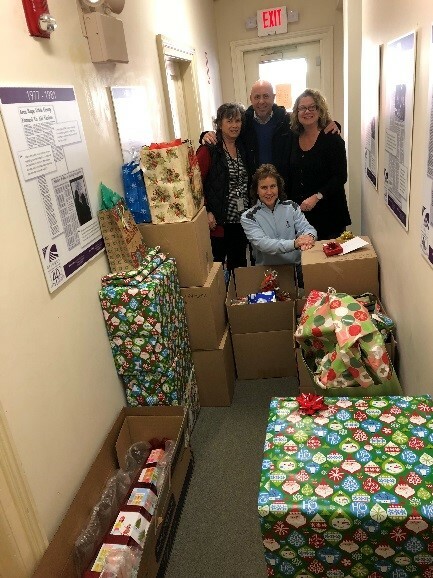 Photos: Left (L) gifts at USI taken to Bridges (from far left) Michael Casper, USI CEO & President, Dawn Reams, Director of Bridges, Dawn Hallett – USI, Colleen Casper – USI, and Michael Dardis – USI. UltraSource has been supporting Bridges for over 15 years as one of their local corporate charities of choice. Bridges is a local non-profit organization dedicated to helping victims and survivors of domestic violence, to find out more about Bridges please see: www.bridgesnh.org. Several years ago, while analyzing data on internal errors and defects, we realized that we needed to improve our employee training systems. By helping our employees develop exceptional skill levels through improved training and certification, we’ve been able to turn employee training into a competitive advantage. At USI, we realize that the proper transfer of knowledge and skills to all employees who build, inspect, and test product is a critical building block for quality and on-time delivery. 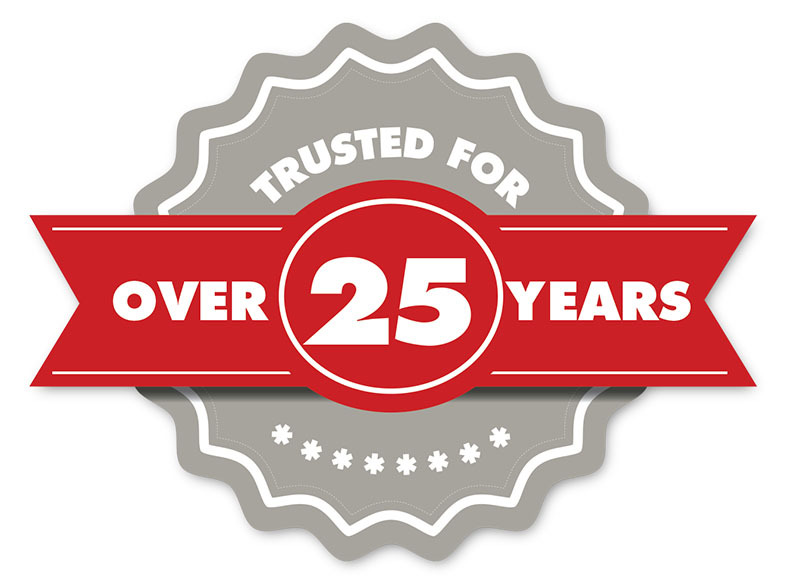 We’ve mandated that we only want people who are skilled and qualified handling our customer’s products. All new Manufacturing, Test, and Inspection employees attend a quality orientation where we explain the importance of quality and process controls. The purpose and method of each specific job step is explained so the employee gets a high level understanding of the job details. Step 2 is an actual “show and tell” of the job steps by the trainer, with focus on detailing how and why each piece of the job is done. Employees perform the job on their own, and explain each step as they go. Step 3 is repeated until each employee shows that he or she understands critical job content and can perform them well. Employees perform the job under the watchful eye of the trainer for 5 separate lots. If and when they complete 5 lots in a row without any quality or workmanship issues, they will become certified. Their skill matrix is updated and their capacity is added to the master capacity plan. These training methods help us to develop employees that are trained, competent, and able to perform their job functions consistently. The exceptional skill levels that our employees develop through training are critical for helping us build product that meets all customer quality requirements and ships on-time. And in that newsletter, we explained that we use 10 great management tools to help us be a consistent, trustworthy thin film supplier. Management Tool #1 is Continuous Improvement. D1) Team Definition Pick people who have hands on experience with the involved business area(s) so they can help dig into the process details. D2) Problem Description Follow the data and list the details: quantities, dates, work order nubmers, etc. D3) Contain with Temporary Actions Immediately contain WIP, finished goods, product in transit, and at customer site(s). D4) Analyze Data & Determine Root Cause Show how you arrived at the root cause and provide a root cause statement. D5) Permanent Corrective Actions Must directly align to stated root cause – ACT on the FACTS!. D6) Verification Actions Test effectiveness across various conditions: shifts, operators, part numbers, etc. D7) Preventive Actions List system changes, FMEA updates and standardize to other part numbers. D8) Team Recognition Recognize success and include the customer. To look at an example of a recently completed 8D project click here. CI Helps make UltraSource run smoother because we don’t just “band-aid” problems and issues, we fix them. Using these CI methodologies to resolve problems makes good business sense because it helps to minimize problems for us and for our customers. 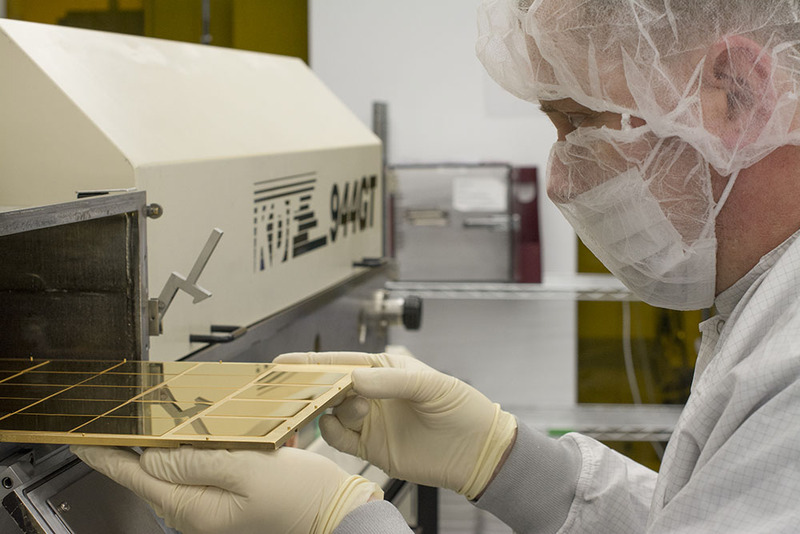 We would love to help you with all your thin film requirements!